Thanks to Dr Alfred Calabrese for bringing this to my attention. 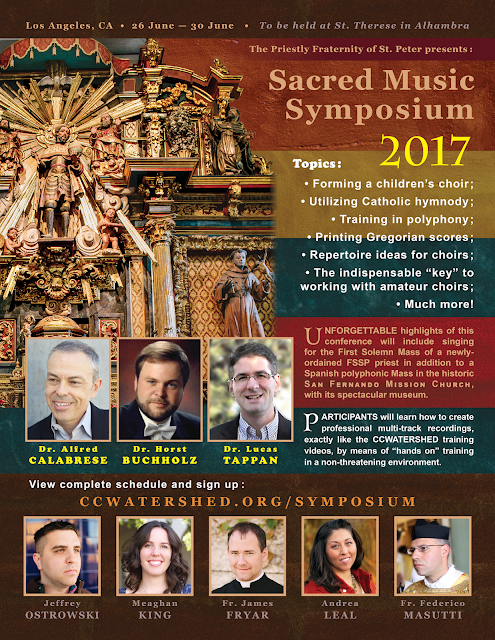 The symposium, which is jointly sponsored by Priestly Fraternity of St Peter, is at the church of St Therese in Alhambra, California. For more information, go to the page on the Corpus Christi Watershed website, here.